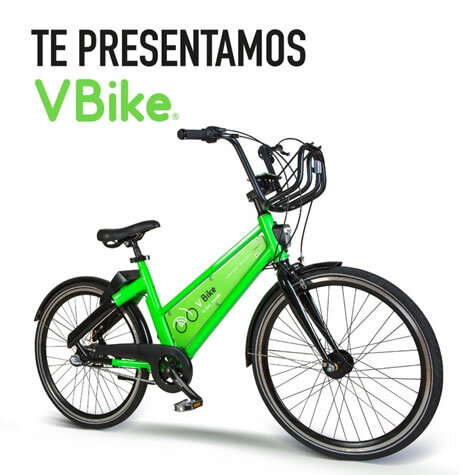 Starting this Sunday and thanks to the new Sustainable Mobility Law of the State of Sinaloa, Mazatlan will become the first city in northwest of Mexico to have a public bicycle system, with fourth-generation technology and in its first stage will offer a service inside the polygon: Downtown, Olas Altas and Rafael Buelna Avenue. Download the VBike app from Google Play or iTunes App Store and register. Locate the nearest bike with your application, unlock your bike by scanning the QR code that is on the back of the bike frame, and that’s it! Your bike will unlock and start your journey. Did you finish your tour? Check the VBike map to locate the designated area to park, lock the padlock located on the rear tire and mark in your app that your trip has ended. For security, the bicycles will have a geolocation system by GPS and with an alarm that is activated when it is left in a place that should not. The costs to use the bicycles will be $5 per trip, $39 per month or $399 per year (mexican pesos). So join the hashtag #MueveteChiloSinaloa, enjoy the beauty of our port on two wheels and be part of a green culture for our planet!